The parts needed for a working system using the Bosch bixenon projectors can be a little confusing, so I put together these diagrams to try to explain everything. 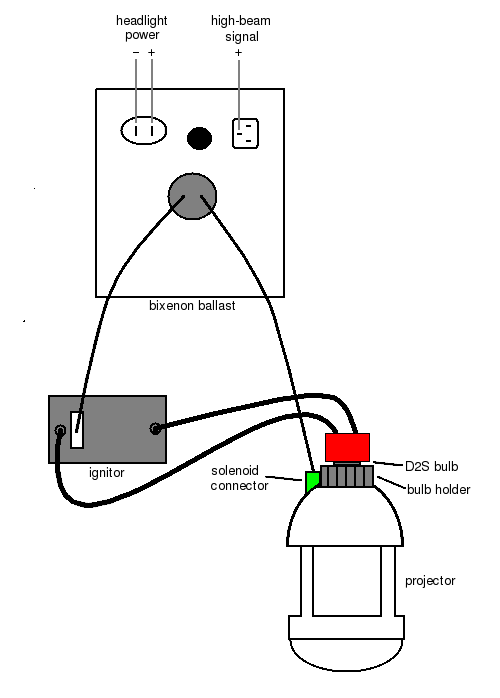 This first diagram shows a standard Bosch bixenon system, with the bixenon ballast, ignitor, bixenon projector with solenoid, and all associated cables. 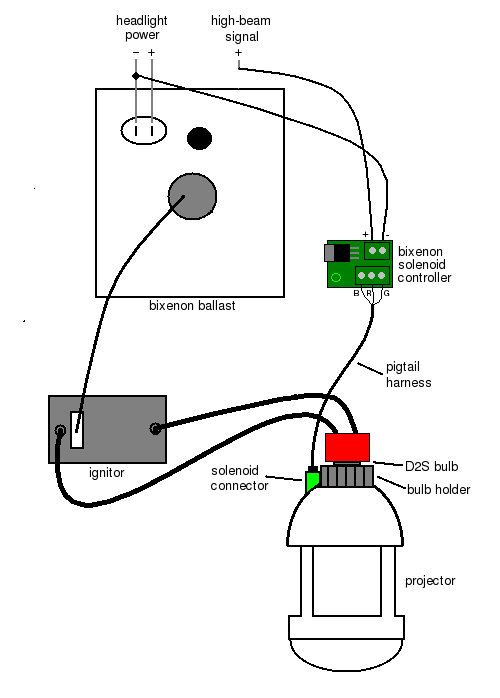 This second diagram shows a system using the WolstenTech bixenon solenoid controller and pigtail harness instead, with a standard ballast.